15:52 21/02/2014 Hundreds of supporters arriving at the courthouse were cordoned off, with around 50 people detained by the police. The police spokesman estimated the number of supporters around 400 people. 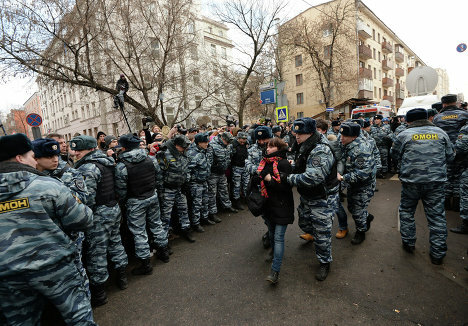 Opposition and police clashed on Moscow’s Bolotnaya Square on May 6, 2012.